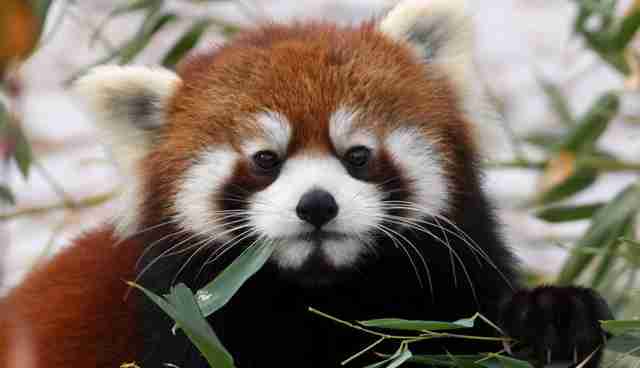 The Chinese name for the red panda is hunho, which translates into "firefox." No further explanation required. 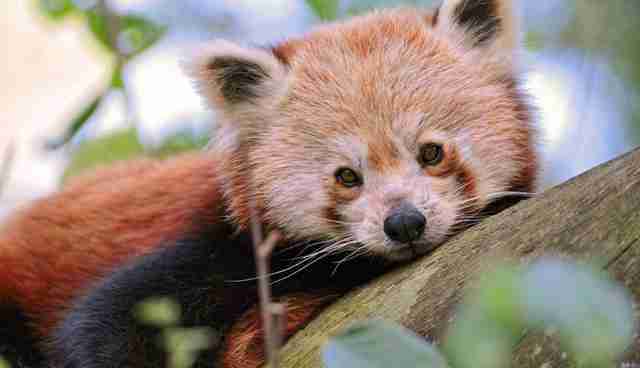 Red panda populations are on the decline in the wild. 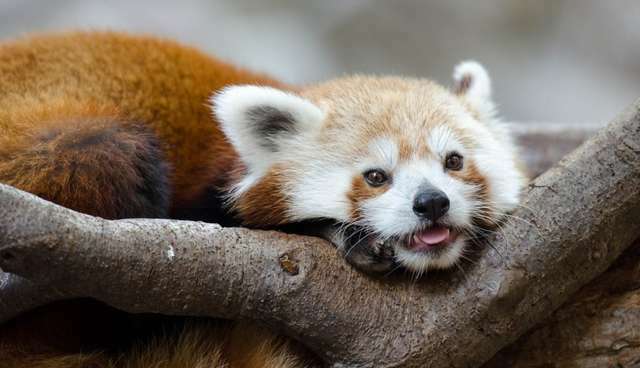 The IUCN Red List of Threatened Species classifies red pandas as "vulnerable," and estimates that their numbers may have decreased by as much as 40 percent over the last 50 years due to massive habitat loss in their native Nepal, northern Myanmar (Burma) and central China. Poaching and human encroachment are also to blame. Red panda pelts can be found in many local markets in China, where the species is most aggressively hunted. 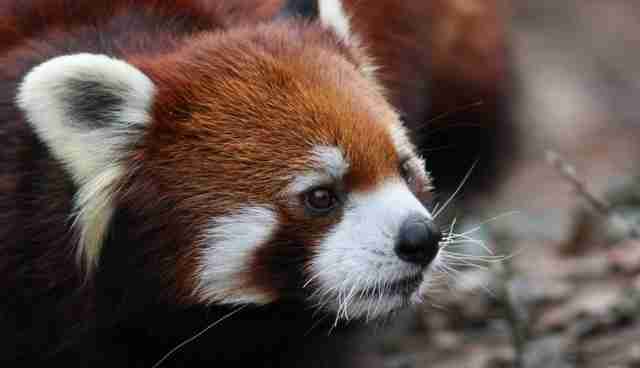 You can learn more about the conservation work that's being done to save red pandas here. While your local zoo might exhibit a group of red pandas in an attempt to pass them off as a "family," these animals are naturally predisposed for a life of solitude. Rarely traveling in pairs or packs, males and females generally only come together for breeding. After giving birth in a leafy tree hollow, the female will raise the cubs on her own for 18 to 20 months before setting the youngsters off on their own, and once again enjoying some sweet, sweet alone time. 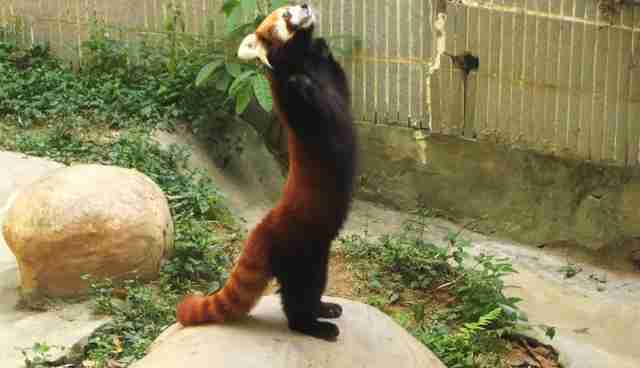 Red pandas really love trees. They love them so much, that when they're not lounging around in trees, they're eating trees. Sometimes they're even doing both at the same time. So when you boast such a tree-based lifestyle, you're gonna need the right equipment. Red pandas possess a "false thumb," which is actually an extension of their wrist bone and allows them to move from branch to branch with parkour-like agility. 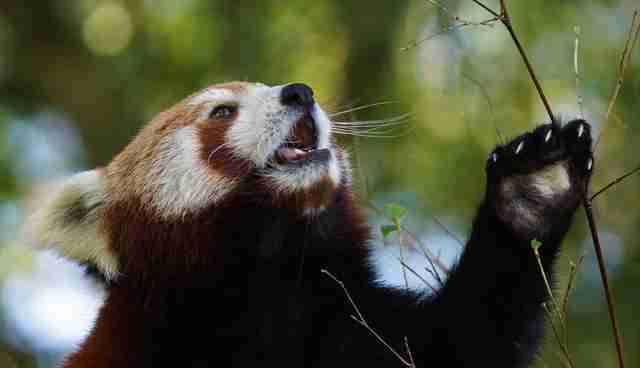 Powerful reinforced jaws technically slot red pandas into the "carnivore" category, even though the picky eaters are happy to subsist on a diet mainly comprised of nutritionally-devoid bamboo. 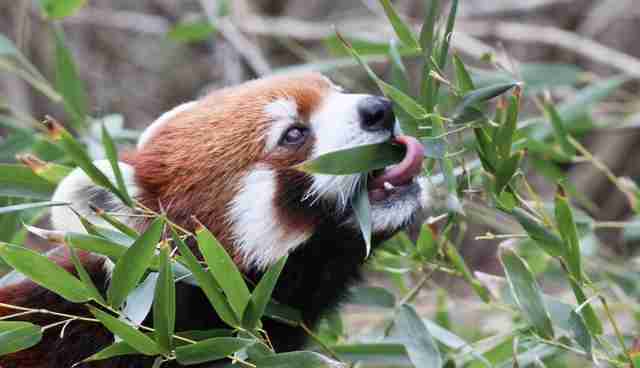 While they'll occasionally snack on insects, fruit, bird eggs and small lizards, if they're feeling decadent, red pandas eat approximately 200,000 bamboo leaves daily! Hairy feet have never been so adorable. The soles of adult red pandas' paws are covered with hair that helps them to navigate wet and treacherously slippery branches, as well as icy rocks and snow-covered ground. The next time you watch an OMG-worthy YouTube video of a red panda standing on its back legs and flailing wildly, just remember that this isn't necessarily friendly or sociable behavior. When threatened or provoked, red pandas will elevate themselves on their hindquarters to appear larger, while slashing out at assailants with their sharp claws. A scared or defensive red panda might also vocalize with a cacophonous grumbly bark sound. And if all else fails, these animals are capable of releasing a strong, pungent odor from their scent glands that apparently smells bad enough to deter even the hungriest of carnivores. 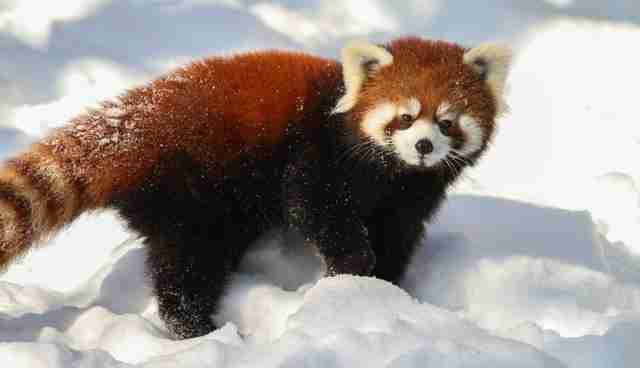 Red pandas are one of those species that just don't seem to fit into one biological classification. They look like foxes, have the faces of raccoons, and are built like cat-sized bears. It's no wonder they've been causing controversy since being first described by French zoologist Frédéric Cuvier in 1825. Bears? Maybe. Raccoons? Sure, why not. But definitively, red pandas belong to their own unique family called the Ailuridae, according to DNA studies. Think the roly-poly black and white bears are the OG panda? Think again. 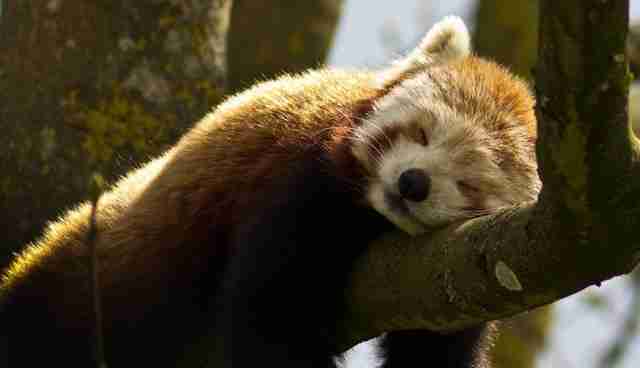 The red panda was actually discovered nearly 50 years before the giant panda. And because both species shared a common ancestor that lived millions of years ago, the little red variety is sometimes called the "lesser panda."